Which States Have the Safest Highways in the Country? Wondering which states have the safest highways in the country? Or which states have the least safest? This recently released report from the Advocates for Highway and Auto Safety surveys the highway safety laws in all 50 states and ranks the states based on their adoption of these laws. The group determines highway safety based on 15 laws that cover, among other areas, “occupant protection, child safety, teen driving, impaired driving and distracted driving.” Advocates also emphasizes the importance of laws that require every passenger to wear seatbelts and laws that require motorcycle riders to wear helmets. The group gives states either a green or red rating, with green going to states with generally safe highways and red going to states with generally unsafe highways. The highest ranked states in the most recent report were Illinois, Oregon, and Washington, D.C., which had 12 of the 15 highway safety laws in place that the group assesses. Close behind were Delaware, Hawaii, Indiana, Maine, Rhode Island, and Washington state, all with 11. South Dakota and Mississippi were rated the states with the least safe highways, with 2/15 and 4/15 highway safety laws respectively. Posted in Road Travel | Comments Off on Which States Have the Safest Highways in the Country? 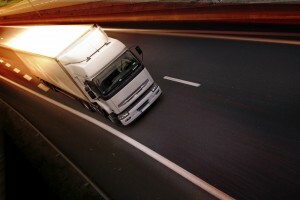 Posted in Semi Trucks | Comments Off on Axle Configuration Key To Fuel Efficiency? It looks like predictions that the price of diesel would fall in 2014 are being proven correct, at least so far. Last week the price of diesel fell 2.4 cents from the previous week, making the national average price of diesel fuel $3.886. The decrease is diesel fuel prices is good news for truckers, who had seen increases for three weeks in a row before last week. The price is almost exactly the same as it was this time last year. Last year the price of diesel saw a sharp increase in the spring, followed by an equally sharp decrease in the summer, with a moderate increase in the fall. 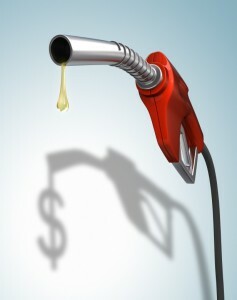 As we stated in last week’s blog, the price of diesel is predicted to fall 11 cents in 2014. From 2012 to 2013, the average price of diesel fell by 5 cents nationally. 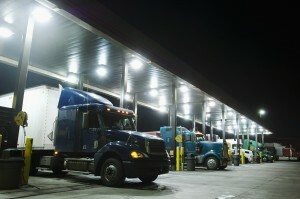 While the national average price for diesel has risen for the third consecutive week in a row, the Department of Energy’s Energy Information Administration is predicting that the price will fall in both 2014 and 2015, good news for truckers. The national average for a gallon of diesel ended last week with a seven-tenths of a cent increase to $3.190. This is almost reaching the level of a year-over-year increase from January 2012, something which hasn’t happened since last August. However, diesel prices are expected to drop across the country in the next two years, according to data from the Energy Information Administration. The average price of diesel for 2013 was $3.92. In 2014, it’s expected to drop 11 cents to $3.81, and 4 cents in 2015 to $3.77. Of course these are only forecasts and could vary based on unforeseen circumstances. The main factor taken into account in these forecasts is the prediction that crude oil prices will drop as world supply exceeds world demand. Hopefully, truckers can look forward to steadily decreasing diesel fuel prices over the next two years. Cargo theft is a rare occurrence but it can happen, which is why it’s important to be vigilant and stay alert when you’re on the road and at a rest stop. In a three month period last year between June and August, 202 cargo thefts were recorded, the average value of which was $166,454. Thieves target everything from electronics to metal to food and drink loads. 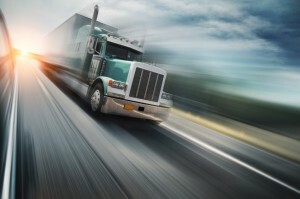 With this in mind, here are some tips to prevent cargo theft. Thieves can pick up on CB chatter, so avoid advertising the contents of your load, both on CB and on social media. Remain aware of your surroundings in order to take note of any cars that might be following you. If you do think you’re being followed, slow down and change lanes. If the vehicle passes, get its plate numbers. If it doesn’t get off at an exit and see if the vehicle continues to follow. If it does, and you feel like you are being followed, contact the fleet for help. Park in such a way that it would be difficult or even impossible to open the trailer doors. 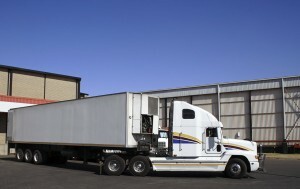 Backing up to buildings, fences, or other trailers is an easy way to do this. Park in well-lit, well-traveled areas that are under security camera surveillance. Use a solid padlock on the trailer doors, and if you can afford it invest in additional security measures like door reinforcement and locking pins.